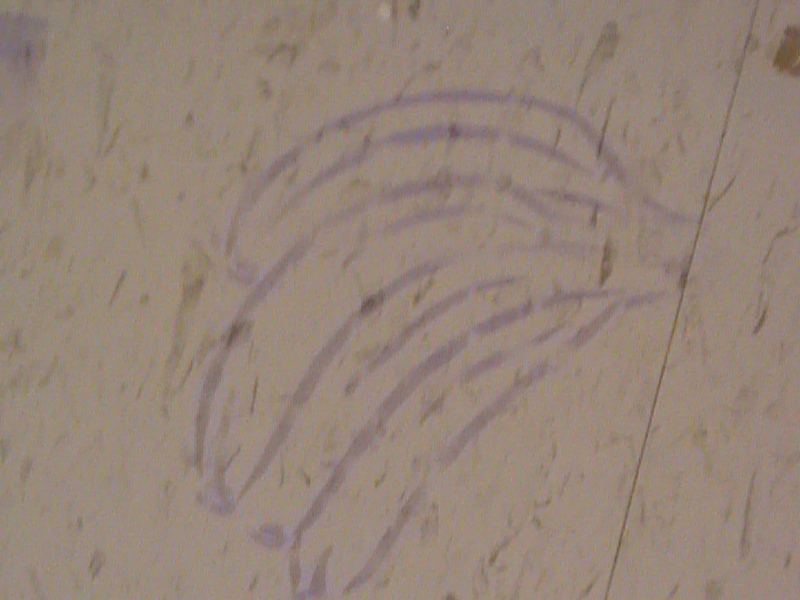 On Tuesday, July 27, 2010, workers discovered dripping from the ceiling of BL 07, a group study room on the lower level. 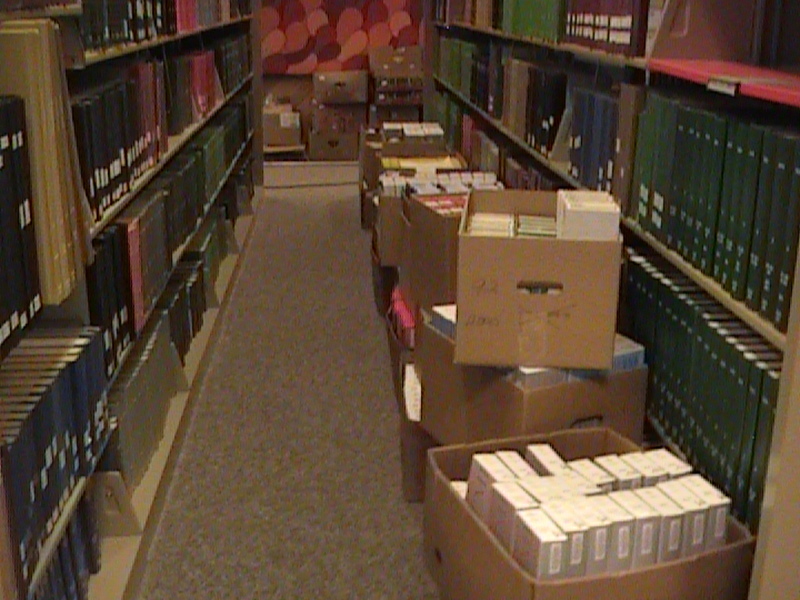 Unfortunately, thousands of reels of microfilm were being stored in the room to accommodate the lower level re-carpeting project. Dean Gleim took quick action to organize a disaster abatement team from among library staff members and student assistant workers. Many staff members were absent that day due to a conference, but approximately 17 people worked from noon to 5 p.m. Tuesday to remove microfilm reels from soggy boxes and set out to dry. The effort continued Wednesday and was completed by noon. 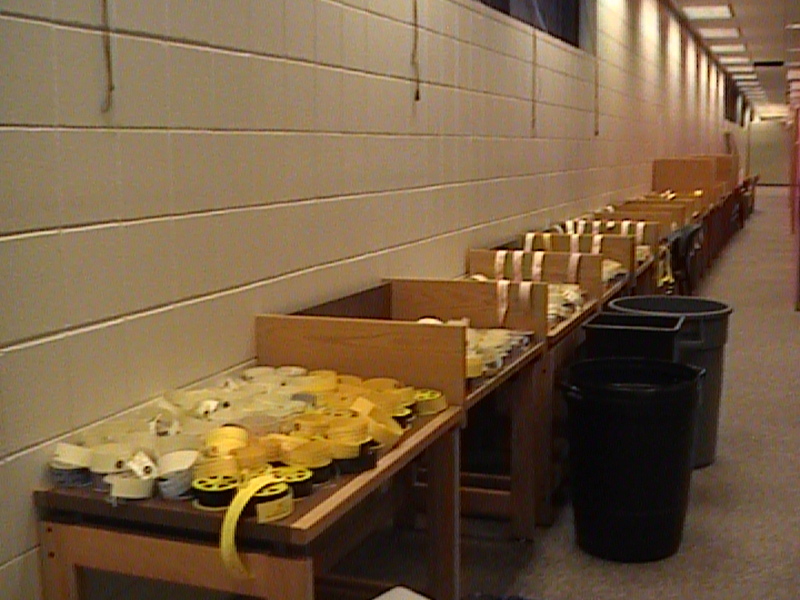 The reels are currently drying on several tables on the lower level. 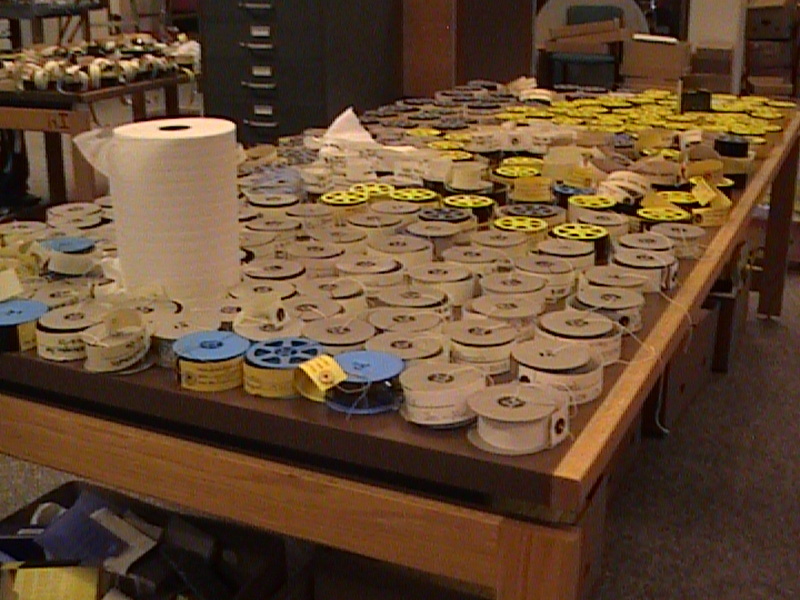 The collection is unavailable to public use until the reels are stable enough to place in new boxes. We apologize for any inconvenience. You are currently browsing the Bloggin' @ Briggs blog archives for July, 2010.